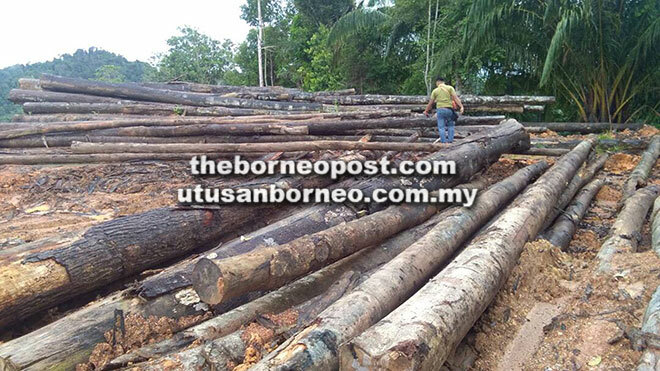 The logs seized at Ulu Tuah, Jalan Nibong Tada in Kanowit. 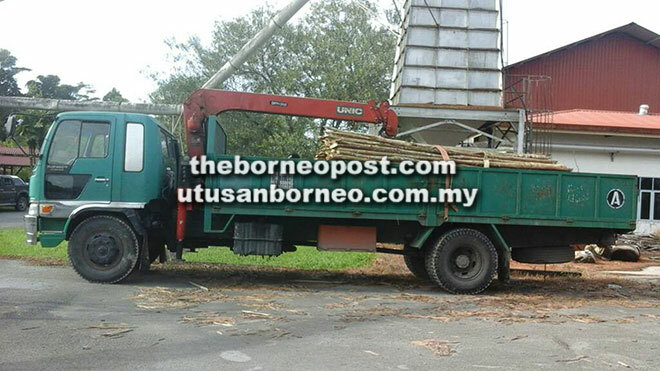 KUCHING: Sarawak Forestry Corporation (SFC) seized 725 pieces of mangrove and jungle poles after a lorry transporting the commodity drove past its corporate office near Jalan Sungai Tapang here on Monday. A statement received from SFC yesterday said its enforcers, upon noticing the suspicious lorry, trailed it to a construction site. “Upon checking the lorry, SFC enforcers found 500 pieces of mangrove and jungle poles inside. An extended search of the area revealed another 225 poles on the ground,” it said. The contractor and driver also failed to produce any documents on the poles, added the statement. The detained lorry is seen in the compound of SFC’s corporate office. SFC officers inspect the poles seized at the construction site. 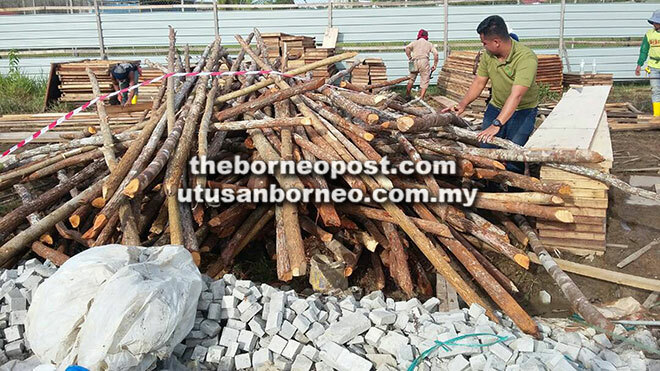 In a separate case, the statement revealed that a joint operation between SFC Sibu and the Forest Department in Sengayan, Kanowit on Jan 16 uncovered 37 pieces of illegal logs of various sizes and species. The team also raided a separate location in Kanowit, near Ulu Tuah, Jalan Nibong Tada, and found 81 pieces of illegal logs stacked in piles. The logs were found adjacent to a forested area and did not have any official markings. The cases have been reported to the nearest police station and will be handed over to the Forest Department for further investigation and disposal, said the statement.